Potential residents of One Cardinal Way can now view 360-degree tours of select luxury apartments. People can also view unit floorplans and apply online for an apartment . Users can select certain units on floors 8-30 and see what the common areas will look like. The virtual tour also shows potential residents what their specific view of the city will be for each type of floorplan. One Cardinal Way will be a 29-story, 570,135 sq. ft. mixed-use luxury apartment building located in Ballpark Village. 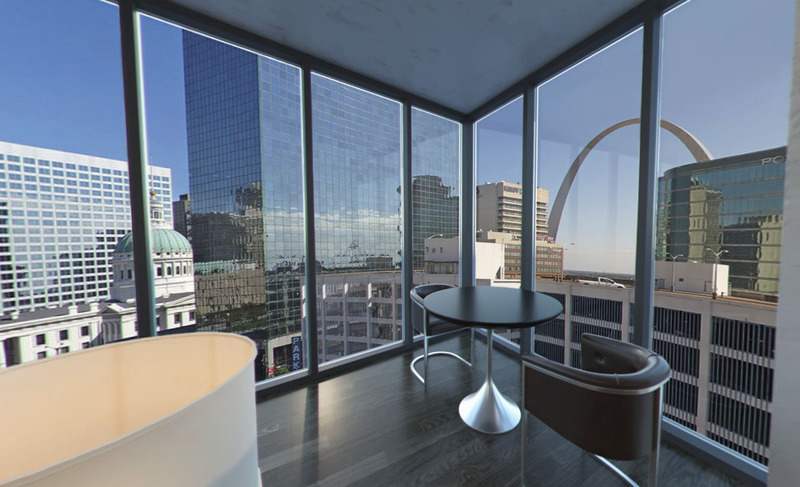 The 297-unit community features views of Busch Stadium, the Gateway Arch, and downtown St. Louis, and will offer studio, 1-bedroom, 2-bedroom, and penthouse options. In-building parking for the residential building was recently completed and the entire project is scheduled to be completed during the summer of 2020. View the full article on KPLR's website.